The Spanish province of Almería produces over one million tons of tomatoes for consumption inside and outside Spain. Hence, for the fifth consecutive year, the World Tomato Day was celebrated in this province on 16th March, with the party taking place in Paseo de Almería, rather than in the Plaza del Ayuntamiento (as in previous years), to accommodate the larger participation. The event featured numerous activities relating to the tomato for the 1,000 Almerians in attendance. There was an exhibition 'The tomato: the red gold of the Mediterranean diet', with lessons on how to prepare different recipes that can be made with the tomato, as well as innovative products. 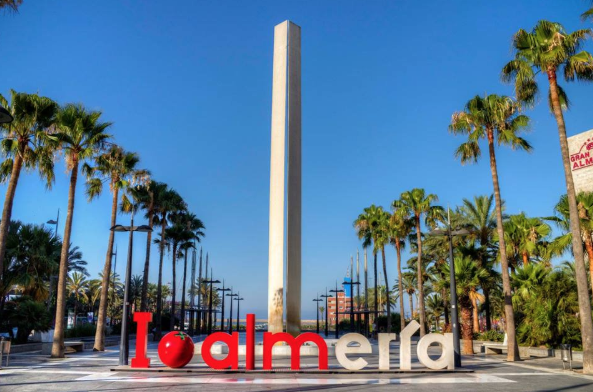 In addition, Almeria is the 2019 Spanish Capital of Gastronomy. The mayor of Almería, Ramón Fernández-Pacheco, said, "The tomato is a product for which Almería is known worldwide. The tomato of Almería is something of a prestige for the Almería brand and also for Spain brand, together with the rest of the fruits and vegetables that we produce in our province. This is why we were chosen to be the Spanish Capital of Gastronomy. We should be very proud of our products and the work our farmers do to turn the desert into the pantry of Europe." The event is organized by companies in the fruit and vegetable sector, local media, the Almería City Council, the Provincial Council and the Junta de Andalucía - the major suppliers of this product in the Spanish southeast. Apart from the thousand citizens who enjoyed the tomato festival, various companies in the province of Almería and the gastronomy industry met to strengthen ties at this fifth edition. The different firms were present with their stands to inform the public of the importance of tomato and a balanced and varied diet.